Right now I’m a huge AMH fan. But I was checking out those pre-cut monthly kits on Fabric Spark again… think I’m gonna have to sign up for one of those STAT! Love any of the Alison Glass sun print fabrics! love the palm teal print and others! Thanks for the chance to win! I truly could not choose a favorite fabric, there is such a wonderful selection. I like the fact that the prints are not the cookie cutter’s, the selection is a cut above what I have seen elsewhere. I also am happy that the price point is such that there is something for everyone. Thank you for the chance, and broad fabric selection! I love the combinations of fabrics in your bundle. I cannot chose fabrics out randomly. I like the look of Anna Maria Horner’s Loominous wovens. Thank you for the giveaway. I love Amy Butler’s Hapi Trapeze in charcoal. Thanks for the chance to win! 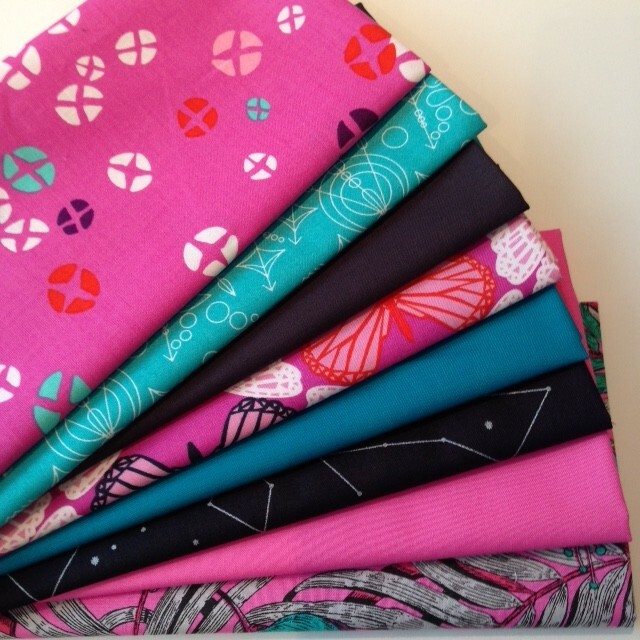 so hard to pick just one but I love the Hello Bear collection, as well as Tokyo train ride, and wildwood, and Eden, and Elizabeth, and maker.make, and pretty much all the fabric!!! I’m really loving the turquoise one with the diagrams–very cool! i love Melody Miller Playful Jacks in Multi. Hard to pick a favourite but I do love MOCHI – SCATTERED CANVAS NATURAL. thanks for the chance, your bundle is gorgeous! I like the little azalea line-all of them!! I love Hampton Blueprint too! 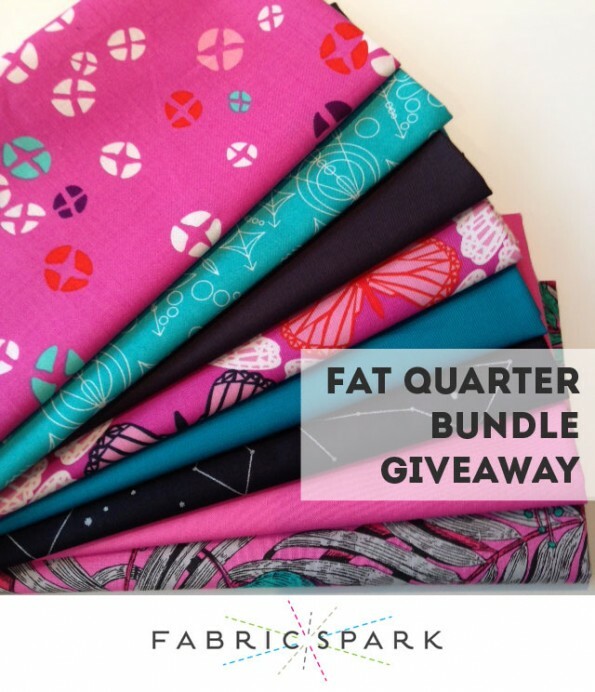 But your fat quarter choices are fantastic as well, great giveaway. Loving the colours and the playful design of Melody Miller Playful Jacks in Multi. Oriental Trees looks nice. Hard to tell on monitor. For some reason, Passport by 3 Sisters is really speaking to me. Anything by Alison Glass – especially Handcrafted! What a great prize bunndle – I’m glad I was listening to the Canadian quilt podcast and reacquaint me with this site! I’m not so much a designer lover, but I’m a colour lover.